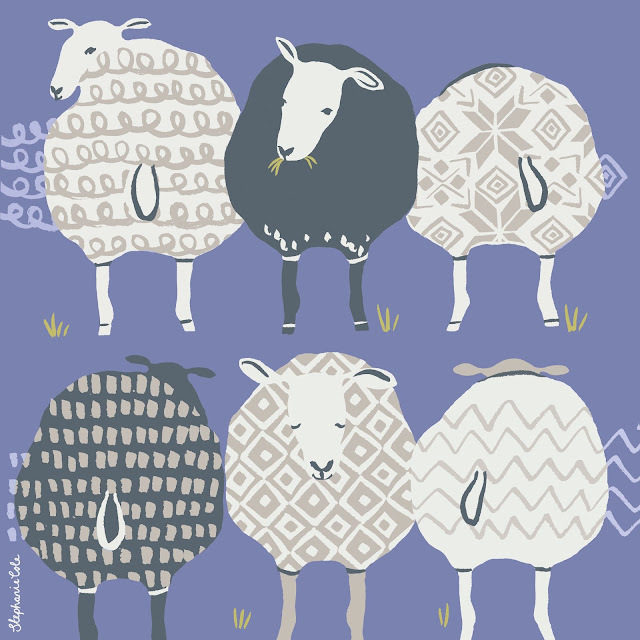 With only five weeks until my favourite yarn festival starts, I am getting rather excited. Unravel means a lot to me, for various different reasons - as well as being my most 'local' show (an hour's drive), and the one that was the subject of my first EVER published blog post, it's also the place I get to meet up with (and remember) various friends I've made over the last six years of knitting and blogging. It's part yarny-extravaganza, part 'blogiversary' and part 'weekend away with the girls'. In other words, it's really very special. I'd love for you to share it - at the bottom of this post, you'll find booking information plus a giveaway for a pair of day tickets, kindly supplied by the festival organisers. Regular readers will probably know all about Unravel, but if you're new to the blog, or the festival, you might like to read 10 Tips for Unravel Festival (2015) and Evolution (2013, when I realised that my experience had gone through the stages of overwhelm, shopping-mania and friendship). There are lots of other posts here if you'd like to see previous photos (and stash enhancement) from Unravel! So what's new for 2017? Inspired by the glass entrance to the Maltings building, this year Unravel organisers are asking for donations of hand-made birds. Despite the name, they can be knit, crochet or felted and will be used to create a special 'Knit Aviary' exhibition. 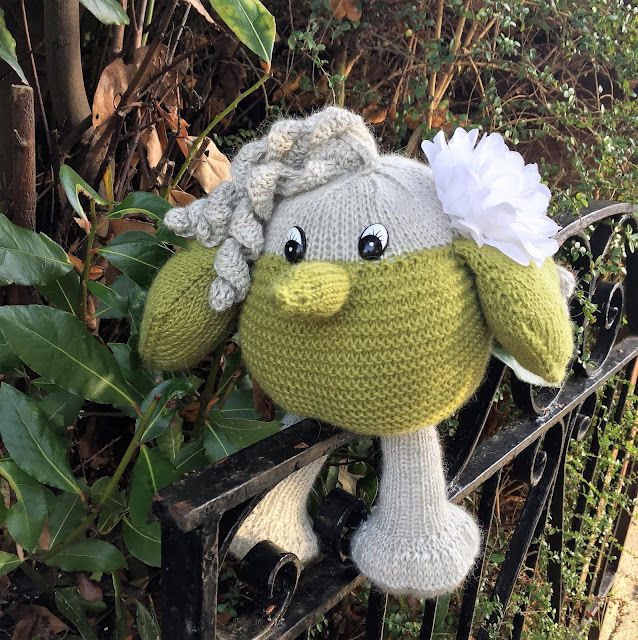 After the festival, the birds will be sold to raise funds for the charity Step by Step who work to empower local young homeless and vulnerable people - you can read more about the charity here and find full details of the Knit Aviary here. If you'd like to donate to the aviary, please feel free to send any birds to Unravel, Farnham Maltings, Bridge Square, Farnham, GU9 7QR. Include your name if you'd like it to appear on a tag with the bird. Don't have a go-to bird pattern? No problem - you'll find two free patterns on the Unravel website to get you started - a cute little blackbird by Sue Stratford and Beatrice, the Lesser Spotted Malting (above) designed by Belinda Harris-Reid. This year sees the return of many Unravel favourites such as Textile Garden, Coop Knits, Easy Knits, Tilly Flop and Debonnaire as well as some vendors you may not have seen unless you've been to other events. (A Yarn Story had an AMAZING selection of yarns at the Yarnporium, so I can't wait to see what is being planned!) See the full exhibitor list here. 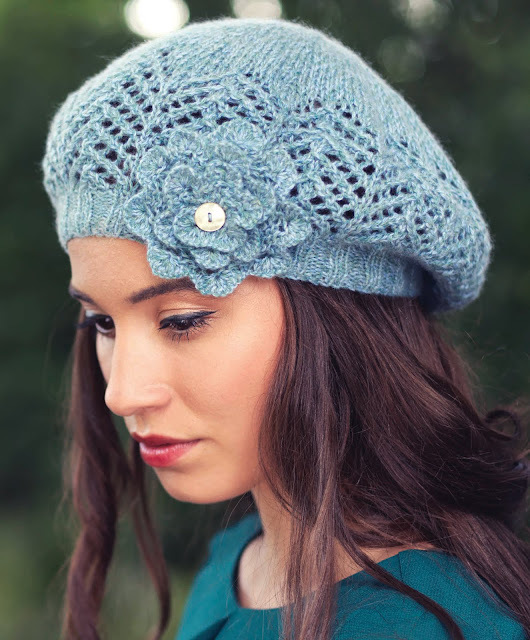 Find tickets to the Yarntelier Rosette workshop with Louisa Harding here. The teaching lineup at Unravel is always great and this year is no exception - there are various workshops running throughout the weekend with well-known designers such as Nancy Marchant, Rachel Coopey, Juju Vail, Louisa Harding and Renée Callaghan covering everything from Brioche knitting to crochet baskets. Find the details here. 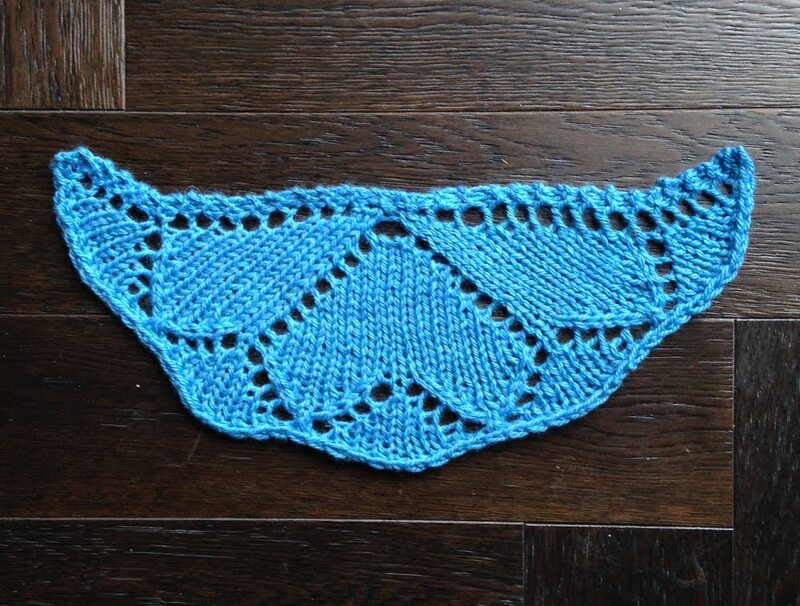 Renee Callaghan aka East London Knit will be running a chunky lace shawl workshop - details here. I'll be there all day Saturday, and will be accompanied by various designer and blogger friends, maybe even a podcaster or two. As people who mainly communicate with our audiences 'virtually', it's lovely to get to have a two-way chat with followers/readers - to hear about you. That is always a major highlight so please please don't be shy - come and say hello if you see us! The festival runs from Friday 17th February to Sunday 19th February 2017. Until February 12th you can get 'early bird' tickets (limited availability) for £7, after that the price will be £9. Workshop bookings include the entrance fee for the same day as the class. Find further details and book tickets here. The visitor information page should cover anything else you want to know. One lucky reader can win a pair of tickets (for the day of your choice) simply by leaving a comment on this post letting me know which day you'd prefer. You MUST leave a Ravelry name, Instagram name or another way of contacting you if you win (I had to redraw other giveaways a few times for this reason). The winner will be randomly selected on Friday 27th January and you will be contacted using the method indicated. Good luck! PS There will be more information about the festival in the coming weeks - if you're going, be sure to subscribe to the blog (in the sidebar) so you don't miss a thing! Love Unravel and we always go on a Sunday. So yes Sunday tickets for me please. poppyseed on Rav. Oh gosh sounds brilliant! I think Saturday would be best for me. LucyMc96 on ravelry. I'm hoping to get there for Saturday. Would be lovely to meet up again x. Haven't been before but would love to go, the Sunday would be best for me if I won. I'm thispsychoknits on ravelry and instagram. I would like to visit Unravel any day this year. It will be the first opportunity for me to visit the show. Would love to visit Unravel. Saturday or Sunday would be lovely. CarolynJGK on Ravelry. It's going to have to be the Saturday, with the Sunday to recover - can't take Friday off work as it's half term and all my parent colleagues want to be off that day! Elm74 on Ravelry. I would love to go on any day but meeting you would make it even more special! yarnandblarney on IG. Friday please :) I am beccs_e on Instagram and mrs_e_1812 on Twitter.